What is Grant Abdominal Aortic Aneurysm Clamp? 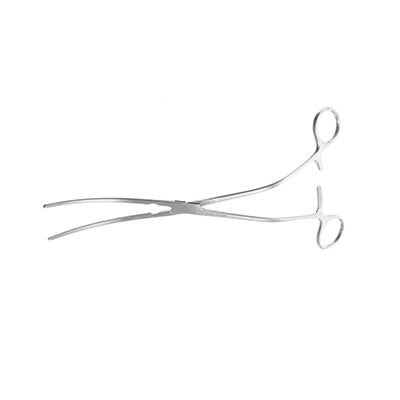 This clamp is designed with slightly curved jaws having debakey teeth (non-traumatic serrations) and slanting shanks (Shank is the structure which connects tip of the instrument to the body of the instrument). The locking mechanism ensure firm grip on the vessel. What is its function? It is used to clamp abdominal aorta in particular and any other vessel during aneurismal (abnormal enlargement of the vessel) repair. 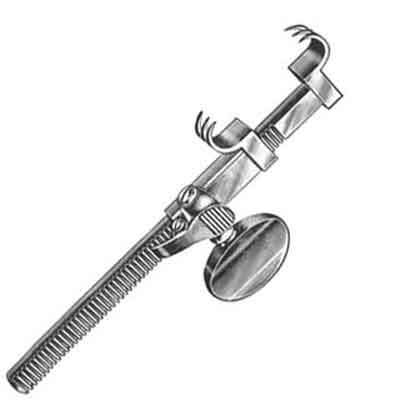 The instrument is so designed that the clamping does not obscure the surgical field of the surgeon during the surgery. If the patient is lean and small then this instrument can be placed over the border of the abdomen. On the contrary it can be placed under the abdominal wall if the patient is large and beefy. Surgical Procedure and Age Group: As the name suggest it is used in clamping abdominal aorta during abdominal aortic aneurysm(AAA) repair, while it may be used to manipulate aorta during aortic aneurysm repair. It is used on adult males and females only. Available Sizes: It is available in two sizes with 2*3 debakey serrations. One is 9 ½ inches (241mm) long with jaw length of 45mm. Other is 10 ½ inches (267mm) long with jaw length of 65mm.